It was a depressing quarterly result announcement for Transocean LTD (NYSE:RIG) considering the $2.76 billion impairment charges towards the 2010 Deepwater Horizon explosion. The oil company reported net loss of $2.217 billion attributable to controlling interest during the quarter. 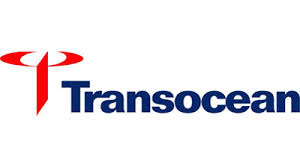 Transocean LTD (NYSE:RIG) reported its third quarter 2014 financial results with net revenues of $2.270 billion along with net income of $546 million. Net loss attributable to controlling interest during the quarter was $6.12 per share and cash flow of $882 million from its operating activities. The drilling company achieved 75% fleet utilization during this quarter with current contract backlog of $23.6 billion as on October 15, 2014 report. The oil company delayed its earnings to accommodate for the write-off of $2.76 billion and recognized an overall drop in its share prices. The last few months have been tough for most of the oil drilling companies forcing them to cut down budgets for new wells and control their expenditure on finding new oil reserves. Prior to the write-off news and delay in earnings release, analysts were expecting profit of $0.73 per share on total sales of $2.12 billion. Earlier, Carl Icahn blamed Transocean LTD (NYSE:RIG) and similar companies for his $270 million portfolio loss during the third quarter. The oil company has lost nearly 40% share value year-to-date and the company is struggling to maintain its 91 vessels, working or under construction. Transocean offered its recent fleet status report on October 15 and the company reported net decrease in out-of-service time by 49 days. According to the report, Transocean Leader received a four-year contract at net day-rate of $335,000 for the first 3 years. Similarly, Transocean Amirante had a new contract for one year at day-rate of $335,000. The company has a current market cap of $10.64 billion and trades at $29.71 per share.